When it comes to reviewing drugs, the FDA’s job seems straightforward: make sure a drug is safe. Then make sure that it actually works and does what it is supposed to. It’s an essential mission that this deeply dysfunctional organization appears to be having trouble fulfilling. 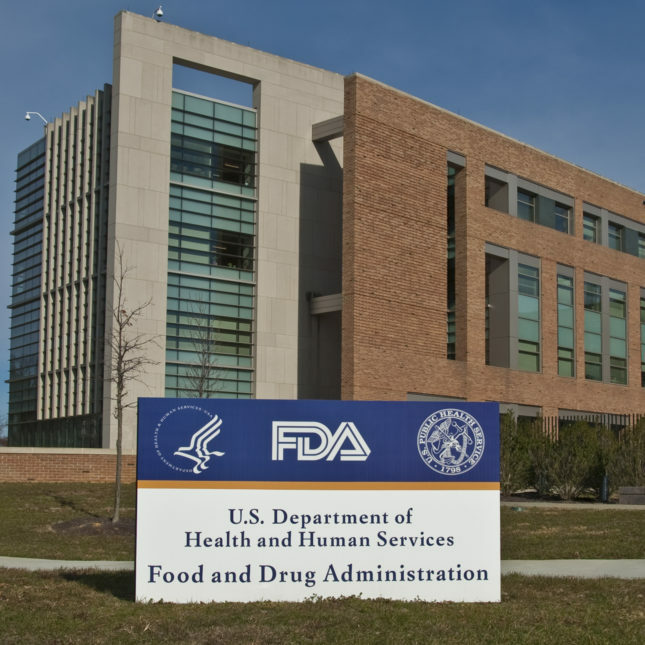 The EpiPen pricing scandal and the controversial approvals of flibanserin (Addyi) to improve underactive sexual desire in women and eteplirsen (Exondys 51) for treating Duchenne muscular dystrophy illustrate that the FDA appears to be having trouble following its own guidelines. I have been working in investigational drug development for almost two decades. As a politically conservative medical scientist at the FDA — a supreme rarity, I assure you — who has worked as a medical officer and senior medical analyst, and as a former investigational medicine research scientist at Pfizer, I haven’t always agreed with regulatory decisions made by the FDA. Lately though, in addition to disagreeing, I now fail to understand several of the FDA’s decisions in the very recent past. In addition to a profound lack of scientific proof, these decisions seem to lack basic common sense. For example, flibanserin worked in only 8 percent to 13 percent of the women in which it was tested. On top of this pathetically poor efficacy, flibanserin can have life-threatening interactions with recreational alcohol consumption and some of the most commonly prescribed antibiotics and antifungals on the market. Eteplirsen’s recent approval by the FDA was deeply disquieting and, like flibanserin, also sets a terrible precedent. Eteplirsen was tested in a mere 12 individuals, with no control group — a highly unusual situation when it comes to evaluating an investigational medicine. In addition, the drug increased production of a key dystrophin biomarker protein needed for improvement by less than 1 percent of normal overall, which is neither clinically nor scientifically meaningful. As a former FDA medical officer and erstwhile FDA observer, I offer seven of my many suggestions for fixing the agency. Fix the broken hiring process. The FDA’s inability to hire enough qualified staff members has been an unaddressed problem for well over a decade. This hampers its ability to carry out its mission. Take, for example, the approval of money-saving generic drugs. The FDA has a backlog of as many as 4,000 applications to produce such drugs because it doesn’t have the staff to review them. Part of the problem is a broken hiring system through USAjobs.com, where all applications must initially be submitted. There, human resources managers with little or no scientific training review the applications of highly specialized scientists. To make matters worse, it’s impossible for the best and brightest in academia and industry to directly call a recruiter at the FDA, because there is no publicly available list of FDA recruiters. Institute consequences for bad decisions. Most FDA staffers and supervisors are highly qualified, dedicated individuals from dozens of different disciplines. That said, the FDA would benefit from a good personnel sweep. The agency has its share of petty people who have personal agendas against fellow FDA employees and/or pharmaceutical companies. Firing FDA employees who have attained federal “career” or “permanent” status — which amounts to university tenure — is difficult. They essentially have to be caught red-handed breaking the law in order to be fired. Some FDA staffers in powerful positions make bad decisions, or have views that aren’t in line with mainstream, evidence-based science. Directors, deputy directors, or others should be held directly accountable when they incorrectly approve a drug, unnecessarily hold up approval of one, or implement bad decisions, just as would happen in private sector jobs. Unfortunately, most of what happens in internal FDA meetings is never made public, so it is often difficult or impossible to hold individuals accountable. Negotiate disagreements between reviewers and management. Reviewers are responsible for conducting the hands-on component of drug analyses. They summarize what sometimes amounts to tens of thousands pages of data for others at the FDA, including management. If management (who did not conduct the review) disagrees with the in-the-trenches reviewer, that reviewer currently has no recourse except to obey his or her supervisor. Reviewers should have the option to contact an outside group of scientists — possibly a congressionally appointed committee. And the facts of such disagreements (which occurred with both flibanserin and eteplirsen) should be made public. Better collect and monitor safety and adverse event reports. The FDA is doing a poor job compiling adverse events and reporting them to health care professionals and the public. Adverse event tracking through the FDA Adverse Event Reporting System (FAERS) or MedWatch has the power to provide valuable real-time sharing of new drug safety issues that did not emerge during clinical trials. Unfortunately, the time-intensive process of reporting an adverse event to a drug company or the FDA is neither a requirement nor goal for prescribers, physicians, and pharmacists who are already burdened with overwhelming amounts of paperwork for insurance companies, Obamacare, and electronic medical record requirements. Play a role in drug pricing. The FDA currently has no say when it comes to the actual price of drugs. Congress should create an offshoot of the FDA similar to the United Kingdom’s National Institute for Health and Care Excellence. It independently reviews and recommends drugs within the same class, based on their safety, efficacy, and overall merit and benefit. This is something we could definitely learn from the FDA’s European counterpart, the European Medicines Agency. Stop abusing startups and small drug companies. Like it or not, the US depends on private drug companies to invent and develop new drugs for existing and emerging diseases. I have personally attended numerous FDA meetings during which typically smaller drug companies that needed help developing drugs were verbally abused and demeaned by FDA staffers. FDA employees who are hostile towards private pharmaceutical companies trying to help the world through legitimate development of new medicines should be held accountable for such abusive behavior. Some sort of public rating system should be created that will let drug companies publicly evaluate the helpfulness of FDA employees. Did the FDA set ‘a dangerous precedent’ with its latest drug approval? Improve the quality of advisory committees. The FDA often solicits advice from independent advisory committees on how to proceed when clinical questions arise. To be part of an FDA advisory committee, however, an individual must not have accepted any research funding or speaker’s fees from a drug company or have any conflicts with the drugs being reviewed. Because the best and the brightest scientists are usually doing original or novel research, often funded by industry, this eliminates many of the most qualified individuals. As a result, today’s advisory committees are usually made up of retired physicians and scientists who aren’t leaders in their fields, and aren’t always up to date on the latest clinical developments. Advisory committee members need to be a lot better than they are, which will make their opinions hold more weight. These items are just the ones at the top of my list. I could easily triple or quadruple the wish list. I recognize that higher-priority issues with the incoming administration include the economy, the repeal of Obamacare, illegal immigration, and terrorism. But I still hope that Tom Price, President-elect Donald Trump’s choice to lead the Department of Health and Human Services, puts the many serious problems at the FDA under special scrutiny. David Gortler, PharmD, PhD, is a professor of pharmacology at Georgetown University and a former FDA medical officer, now a pharmacology expert and FDA expert with FormerFDA.com. He was also the FDA/health care policy advisor for the 2016 Ted Cruz presidential campaign. I would nominate an engineer to lead the FDA, and especially, the device unit. They do not let planes fall out of the sky, or build bridges that collapse. They understand materials safety. They understand the concept of Precision Devices and Precision Medicine (testing to insure “right for you” and your allergies, immune system and genetics), making sure you get the right kind – not the wrong kind – of gas in your car. They look at the big picture and study all the data – the wall built between medical and dental records and health impacts would come down. Imagine the possibilities! In addition, FDA needs to reboot the Expert Advisory Panel system where specialists in an organ or body part review and make decisions about devices that are inserted in that organ or body part. To understand systemic impacts, all Panels should also include an allergist, immunologist, geneticist, functional medicine physician, and biologic dentist. You need all of the elephants in the room to consider benefits, risks, and ways to modify and limit risks of installing devices with 24/7/365 impacts on a genetically and medically diverse population. •	Obtain greatly increased funding to protect the safety and ensure honest marketing of everything in our food supply. •	Ban, restrict the use of, or require warning labels on foods that contain additives that cause heart attacks and strokes (excessive levels of sodium), obesity, diabetes, and tooth decay (sugars, high-fructose corn syrup), cancer (aspartame), adverse behaviors in children (food dyes), and severe allergic reactions (mycoprotein). •	Stop widespread deceptive labeling that makes foods appear more healthful or of higher value than they really are. •	Stop inappropriate uses in farm animals of medically important antibiotics to reduce rates of antibiotic-resistant antibiotics. •	Stop the marketing and deceptive labeling of worthless (and sometimes dangerous) dietary supplements. •	Require that companies that add unapproved substances to their foods under the “generally recognized as safe” (GRAS) rule ensure that such substances are indeed safe based on reviews of public, peer-reviewed data by objective scientists without conflicts of interest. Michael, good comment. With all due respect, CSPI really needs to look into the latest research on harm from the ADA’s favorite product that fueled its growth, mercury dental amalgam, especially for those with genetic susceptibilities who don’t clear it well so it bioaccumulates. There is arguably an even greater danger from what we chew with than what we eat. Time to pay attention to that as well. “As a former reviewer I would like to comment on Dr. Gortler’s proposals. Institute Consequences for Bad Decisions – The problem is what is a bad decision is in the eye of the beholder. I have seen where managers openly admit that drugs don’t work and still approve them knowing that people will be killed. Yet such acts are rewarded. As for petty individuals with personal agendas my concern is that it is exactly these individuals who will use such an ability to fire staff. Stop Abusing Startups and Small Drug Companies – I seen this on occasion. However more often start-ups will come in for a meeting that is designed to address whether they have sufficient animal data to start human studies and instead want to talk about their financial issues or the studies for proving efficacy and the NDA submission. Things which are either irrelevant or should be addressed in a separate meeting later in the development process. On other occasions small companies will simply not listen to scientific and regulatory advice even when what they are proposing is scientifically invalid and contrary to specific requirements in the Food Drug and Cosmetics Act. Abuse typically comes more from the senior managers for example refusing to meet with small companies when they do need some hand holding, or not informing them that the studies that they are proposing are unethical as they can’t provide any useful information. This is not only dangerous for the study subjects but it wastes the resources of the small company and could cause them to go under. Also managers will schedule meeting after meeting with large companies to go over the same issue time and time again in order to pressure reviewers to agree to what the large company wants, while dismissing requests to meet from smaller companies. As for rating reviewers this can and will be abused. Typically when large companies don’t like the advice that a reviewer is giving them they will make false complaints about the reviewer. This can also happen internally when managers are angling for personal advantages and want to show a company that they are on their side. As someone else said – my comments to reform the agency didn’t get posted either . My recommendations are : 1. Stop fighting pt. rights movements like Right To Try . Stop defending the broken so called ” compassionate ” use system . Your paperwork took hours, days for oncologists to complete . You admitted as much when you cut your paperwork to a supposed ” 45′ ” timeframe. I say you should get a simple, notification e – mail only that a pt. is taking a drug that has already passed Phase I safety in the trials that you are already getting data on . Rec. # 2 : Join pts. in advocating that ALL the recommendations of the Andrea Sloan Comp. use reform act be brought into law. The 21st century Cures Bill only passed one of the 4 recommendations made in memory of Andrea Sloan and so many others who could not get any compassion from either the FDA or Pharma. The only recommendation 21st Century passed was that co.’s post a compassionate use access policy and contact info. Wow , big whoop ! No GAO oversight, no task force for reform , no increased openness about how the FDA uses ” adverse events ” to deny, delay approval. We pts.’s know that Pharma is conning us when they blame the FDA only – Big Pharma gives out about 2500 compassionate use requests a yr. , for all ” terminal ‘ illnesses in a country of 314 million . We know they see dying pt’.s as ” investment risks ” . But your bureaucratic , slow 20th century , 7 – 10 year long partial, restricted approval system is a BIG part also. . So , Rec. # 3 : Be open to innovations like a rolling approval system . Rec. # 4 . More Transparency in general, for ex. Admit mistakes like you made in denying early approval to Kadcyla in 2010, and delaying Iclusig and Lemtrada in 2012. Up here in Boston , large healthcare systems have learned that admitting that you can make mistakes goes a long way towards decreasing pt. anger . Does that ever happen in D.C. ? Shut down, restructure for limited reach and STOP being bought and paid for by big pharma? Since the recommendations made to improve the agency did not get posted, let me just we need a “Precision Device” Framework, with prescreening each individual for biocompatibility to ensure a device is “right for you” before it is installed. Regarding the FDA Center for Devices’ Dental Unit, at one time they created a new element of the periodic table, “Dental Mercury,” and said it was Class I. They ignored the majority sentiment of its own expert Dental Products Panels in 2006 and 2010. The ADA holds the nation’s health hostage to a product on which it was founded, and on which its affiliate held patents. Genetic susceptibility to mercury toxicity is fairly common, and mercury off-gases from amalgams with heat and abrasion. Why play Russian Roulette with our health? In fact, some of the panels, supposedly independent, do have conflicts now. Imagine how much worse it could get if this suggestion is followed. Furthermore, there is no chance at all that a Republican Congress is going to do anything about drug prices. Surprised that a conservative pharmacology professor would imagine that it would. And does anyone think that a privatizing, anti-regulation Congress would want to hire more FDA government employees, which by their definition are in agencies that are non-functional. Of course, not having enough employees to do the job might make an agency non-functional. In fact, the stated aim of the incoming administration and Congress is to speed up approvals. How many more bad drugs are going to hit the market? Make it policy that when randomized clinical trial designs cannot adequately ensure ecological validity, that FDA consider well-established alternatives such as nonlinear dynamical models. This is especially important for post-approval modeling which can predict when significant side-effects signal trouble long before linear models can do so (e.g., agent-based models). I strongly agree with all the points made in this article. And, for starters, the FDA has to have its own specialized recruiters who will directly receive all job applications and who can also directly contact and can be directly contacted by applicants. Having the qualified staff is a must in an efficiently-ran FDA, otherwise, all other changes the author suggested to improve the FDA processes will not be optimal.